Thank you doctors, nurses, and volunteers! Everybody in their lifetime goes to the hospital, is seen by a doctor or a nurse, and benefits from the efforts of the many volunteers who devote their time to help others. So every year we take the time to recognize the efforts of those who strive so hard to keep us healthy through national Doctor’s day (March 30), Nurse’s week ( May 6-12), Hospital week ( May 12-18) and Volunteer week ( April 21-27). On these special days hospitals and health care providers everywhere honor their employees and volunteers by giving them tokens of appreciation. This year, give your trusted employees and volunteers something they will not only uses again and again, but also something they will always remember your business by! Tell your staff how super they are with the soup and mug set! This delightful mug is the perfect size for soup and other liquids, and also comes equipped with a spoon! A great yet simple gift is the retractable badge holder! This badge holder is durable, strong, and a gift that will be used and treasured for years to come! Another health-care favorite is the prescription chocolate bar. 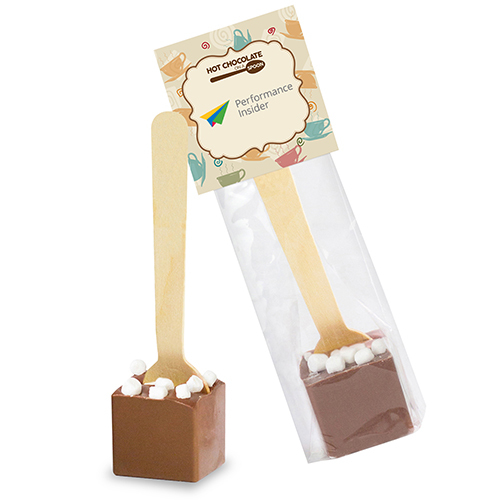 With the prescription chocolate bar your staff can get the dose of chocolate they need-with a side of humor! One gift that never fails to please is the Cool gear water filtration bottle! This unique water bottle has a built-in filter which filters out water impurities while also keeping the water cold. These fun and unique health care gifts come imprinted with your logo as well. Show your appreciation for your valued health care employees this month by giving them something they will never forget!